September is a beautiful month with the trees just beginning to change colour to tones of golden yellow and deep red and the hedgerow full of berries. The summer holidays are over and the children are back at school. Quite often in September I will see an increase in the number of puppies attending classes as many people feel this is an ideal time to have a new puppy. This year due to a high number of puppies I have had to start a second class. It is quite interesting to see the difference in the puppies and one group are certainly more advance then the others, due mainly to the puppies being slightly older. I thought it would be interesting to share the progress of two dogs. 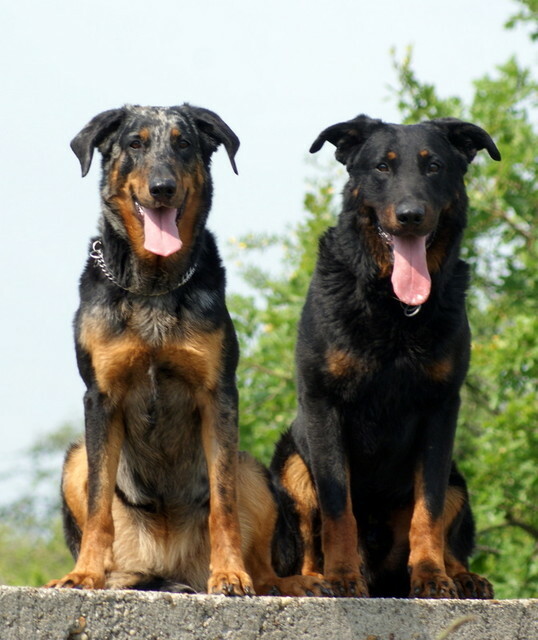 Duke is a Beauceron. The breed is originally from France and they are extremely large dogs with the males standing 71 cms high and weighing 45 kg. Duke is now twelve months old and has had a busy summer with qualifying for Crufts, and then the following week he gained his Kennel Club Good Citizen Bronze Award with Ourway Dog Training. He is a very versatile dog and can manage an agility course as well as going hunting and retrieving game. He is absolutely brilliant at retrieving from water when we are holding classes at the lakes. Over the next few months we will see how he copes with his first shooting season and becoming an adult dog. Copyright ©Our-Way Dog Training Academy All Rights Reserved.